SAVANNAH, Georgia, February 4, 2016 — Gulfstream Aerospace Corp. today announced the Gulfstream G500 has completed flutter testing, achieving another milestone in the new aircraft’s flight-test program. The first G500 test aircraft, T1, performed the tests over the course of more than 50 flights. As T1 performed flutter testing, the second test article, T2, finished climatic chamber testing at the McKinley Climatic Laboratory, Eglin Air Force Base, Florida. The aircraft endured three days of hot testing, with temperatures reaching 131 degrees Fahrenheit/55 degrees Celsius, followed by two days of cold testing, with temperatures as low as -40 degrees F/-40 degrees C.
“The successful completion of climatic chamber testing assures us that the aircraft will be prepared to meet the Federal Aviation Administration’s rigorous certification process and extreme real-world conditions our customers will experience when they fly the G500,” Nale said. Since T1 took its first flight on May 18, 2015, the aircraft has surpassed more than 320 flight hours. It has reached a maximum speed of Mach 0.999 and a maximum altitude of 53,000 feet/16,154 meters. T1’s longest flight to date lasted more than five hours. Additional test activities are continuing on track, including envelope expansion, air data system testing, aero performance, brakes and field performance, handling qualities and flight controls. The second and third G500 flight-test aircraft, T2 and T3, both took their first flights on Nov. 20, 2015. In addition to the climatic chamber testing, T2 is focusing on flight loads validation, along with aircraft performance and systems testing. T3 is the primary test bed for the all-new Symmetry Flight DeckTM. T3 will also be used to evaluate ice-protection system performance, landing gear and nosewheel steering operation, environmental control system performance and the cabin pressure control system, as well as community noise testing. T3’s longest flight to date lasted more than six hours. 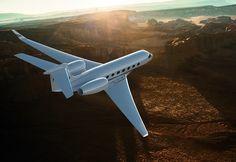 In addition to the three aircraft currently flying, the G500 flight-test program will include two more aircraft. T4 has been inducted into the Flight Test facility and is in the final stages of flight preparation. P1 is a fully outfitted production aircraft that will test the interior elements as well as complete integration of the aircraft systems with the passenger experience. 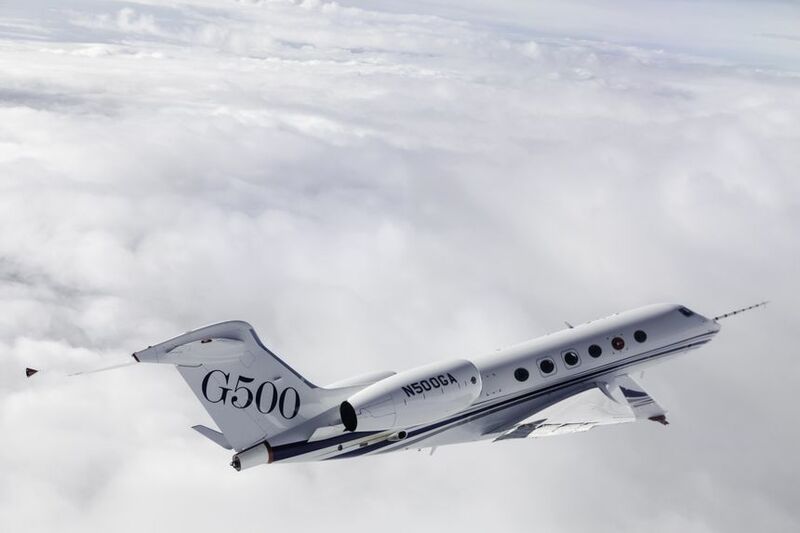 The G500 is part of Gulfstream’s new family of clean-sheet aircraft, the G500 and G600. Gulfstream has conducted more than 43,000 hours of testing for both aircraft in Gulfstream’s state-of-the-art lab facilities. The G500 can fly 5,000 nautical miles/9,260 kilometers at Mach 0.85 or 3,800 nm/7,038 km at Mach 0.90. The aircraft is powered by the new Pratt & Whitney Canada PW814GA engine, which delivers excellent fuel efficiency, fewer emissions and less noise. The G500 and G600 cabins maximize passenger comfort and aircraft performance and can carry up to 19 passengers. The optimized wide cabin also features an industry-leading cabin altitude of 4,850 ft/1,478 m at FL510 and 100 percent fresh air that boosts mental alertness and productivity while reducing fatigue. The G500 is expected to receive type certification from the U.S. Federal Aviation Administration and European Aviation Safety Agency in 2017. It is scheduled to enter service in 2018, with the G600 following in 2019.